At first glance it looks like a Canon 7D with a 70-200mm lens… but this is actually a camera purchase which could help you save money. That's because this is really a coin bank shaped to look like a professional DSLR -- a Canon 7D and a EF 70-200mm 1:2.8 L IS USM II. There's really not much more to say, other than the Canon 7D acts as the top on the lens which can be used for storing coins or notes… and that we want one. 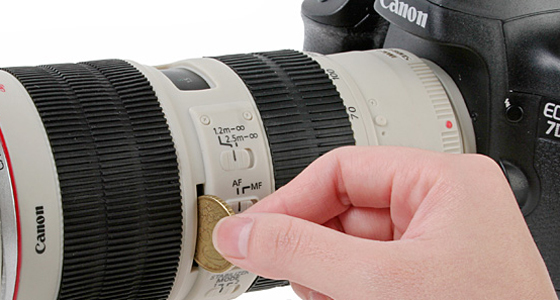 The 'DSLR Camera EF 70-200mm USM II Coin Bank' is available online through Brando.com and sells for £22/$35,90.